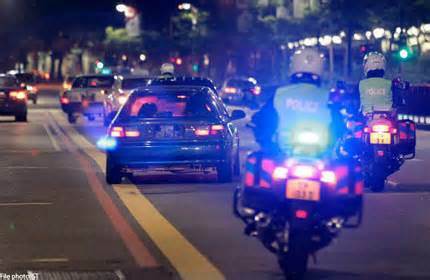 They were caught at roadblocks set up between 12am and 3am at Jalan Bukit Merah, Macpherson Road, Guillemard Road and Marine Parade Road. The offenders included 9 men and 1 woman, and were aged between 33 and 60. They all failed the breathalyser test, with the highest result clocking in at 88 microgrammes of alcohol per 100 millilitres of breath. This is more than twice the prescribed legal limit of 35 microgrammes of alcohol per 100 millilitres of breath. Drink drivers, on conviction, will be disqualified from driving for at least 12 months. They will lose their driving licences and have to retake the theory and practical driving tests again. In addition, first-time offenders can be fined between $1,000 and $5,000, or jailed up to 6 months. Commander of Traffic Police, Assistant Commissioner of Police Cheang Keng Keong, said, “Motorists who choose to drink and drive often underestimate the serious consequences of alcohol impairment. Such acts are irresponsible, especially when a drink-driver even goes to the extent of offering a lift to his friends who were out with him. This will not only endanger his own life, but also the lives of his friends and other road users.